This tuna salad is a modified variation from the Weight Watchers cookbook, Simple and Classic Home Cooking, and found on page 144. 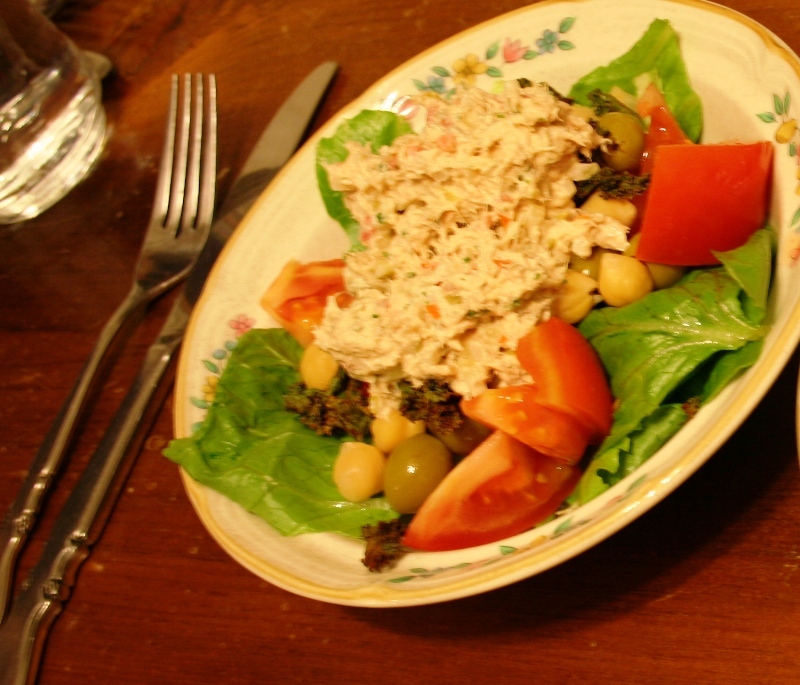 It is a really flavorful tuna salad that we have prepared several times, and tastes great. Easy to prepare in less than 20 minutes you can serve it between two slices of whole wheat bread and makes a great sandwich along with some sliced tomatoes and crisp lettuce leaves. 1. Combine all the ingredients in a medium bowl and stir well. This recipe was served on Eat To Live, Week 1 Day 3, and linked from Eat To Live, Week 1 Day 4 of our ETL diet, you can follow our progress at Eat To Live. perfect this is exactly how I like it and make this one love it!